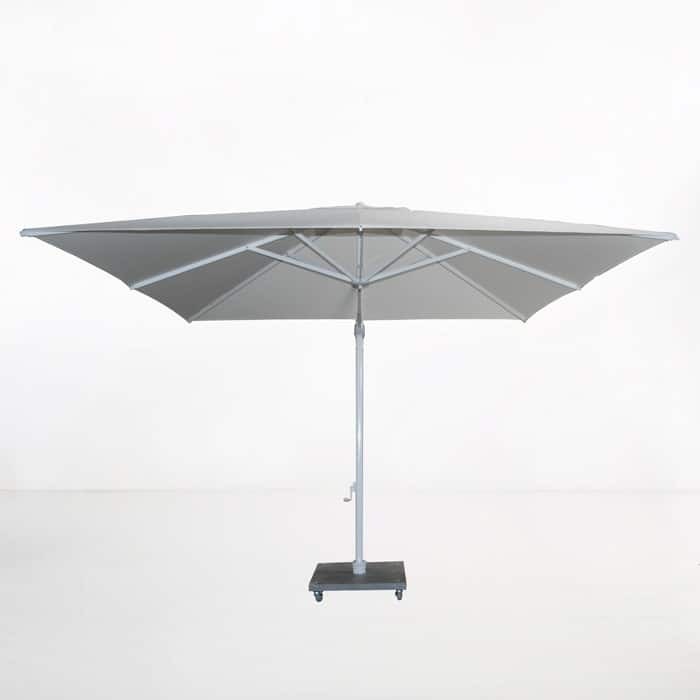 This 10ft square cantilever umbrella has a 360 rotational movement in the horizontal position, as well as a tilting option. 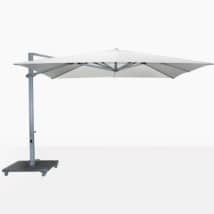 From ground to the top of the canopy, the total height of the Grey Antigua Cantilever Umbrella is 99”, including the height of the base. 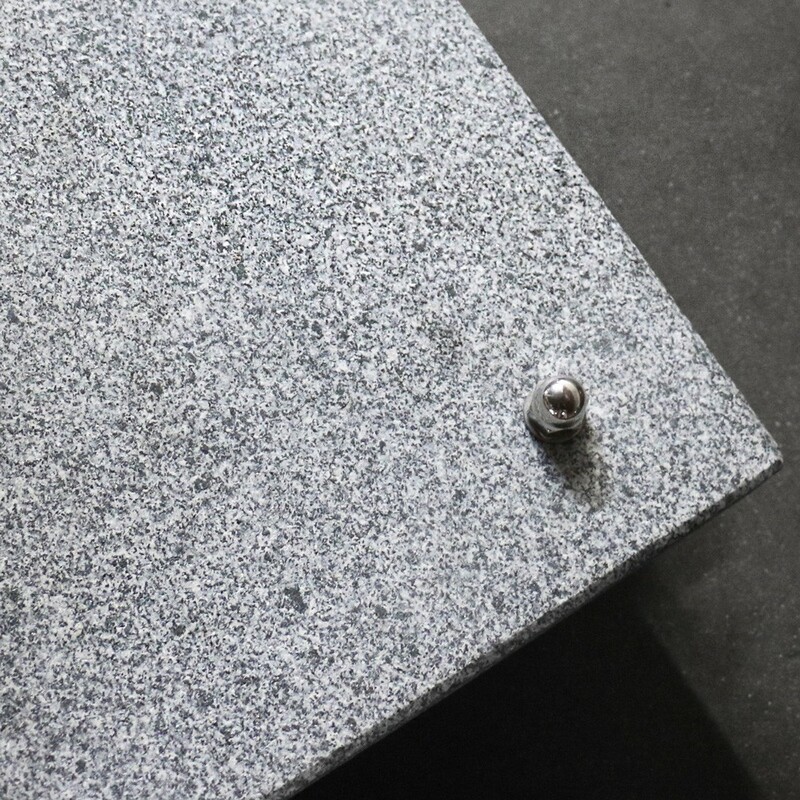 The pole is 2.5” x 3.0” in diameter. 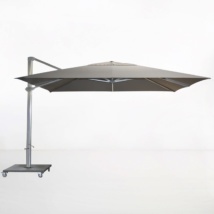 The grey canopy is made of Sunbrella® fabric. 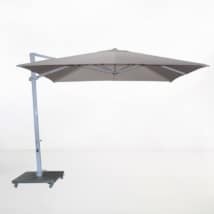 This patio umbrella is also available in three other colors.. 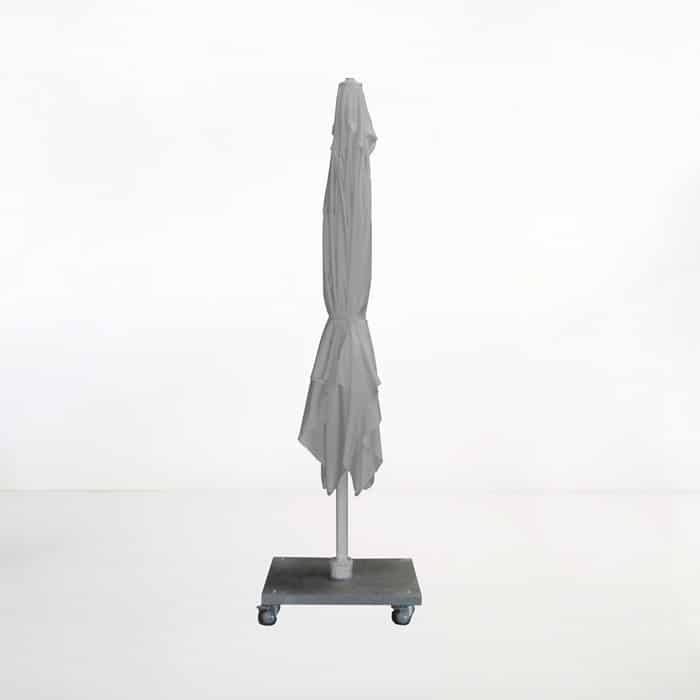 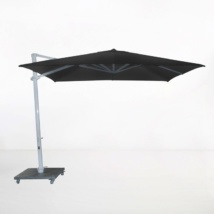 The granite base with wheels is included in the price of this cantilever umbrella, as shown. Additionally an in-ground base option is available. 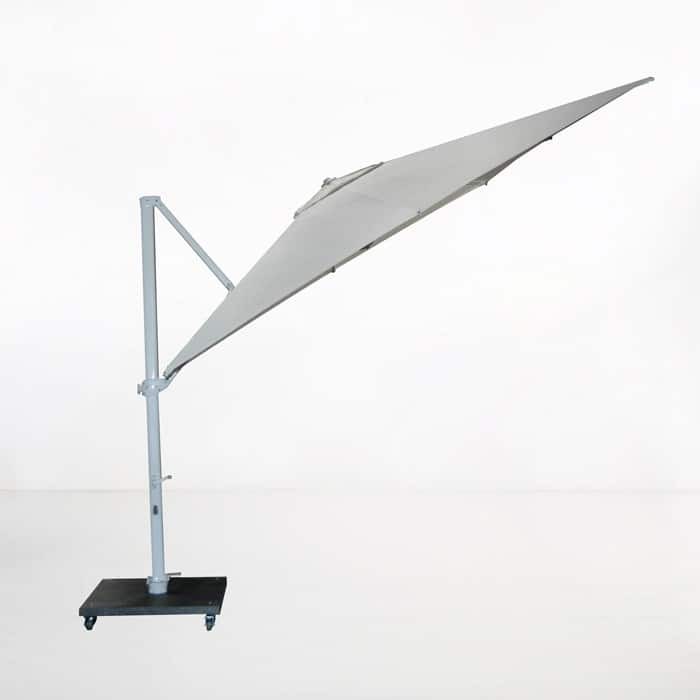 Please call us or come into our furniture showroom for details. Canopy 10' sq., Height 99", Mast 2.5" x 3.0" diam. Canopy 3.0 sqm., Height 252cm, Mast 6.3cm x 7.6cm diam.